Art Linson is an American film producer, director and screenwriter. He was born in Chicago, Illinois. His directorial debut was the 1980 comedy, Where the Buffalo Roam, which was loosely based on stories by Hunter S. Thompson and starred Bill Murray as the writer. He also directed 1984's The Wild Life. 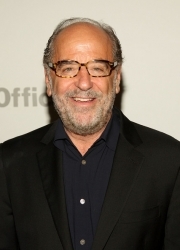 Linson has produced many films including Car Wash, Fast Times at Ridgemont High, Fight Club, Melvin and Howard and the Brian De Palma films The Untouchables, Casualties of War, and The Black Dahlia. He has worked with Michael Mann, David Mamet, and Cameron Crowe. He produced Sunset Strip with his son John. His writing credits include the film American Hot Wax and two books, What Just Happened? Bitter Hollywood Tales from the Front Line (ISBN 1-58234-240-7), which was adapted into the film What Just Happened, and A Pound of Flesh: Perilous Tales of How to Produce Movies in Hollywood (ISBN 0-8021-3551-X). He is an executive producer for the FX drama series Sons of Anarchy. Linson produced a film based on the band The Runaways, with his son John Linson as a co-producer. Whole or part of the information contained in this card come from the Wikipedia article "Art Linson", licensed under CC-BY-SA full list of contributors here.